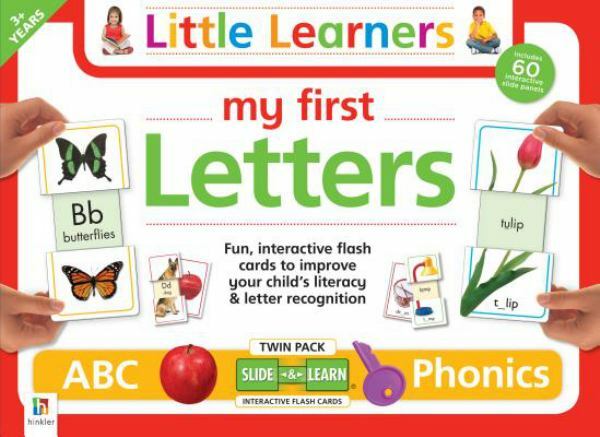 Twin Pack - ABC & Phonics. 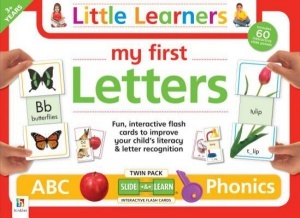 Little Learners interactive flashcards will help young children to learn the alphabet and develop vowel awareness. 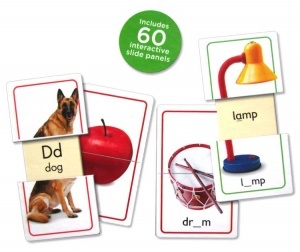 The 60 sliding panels will help to develop picture-word association and improve motor skills. Written and created with teachers, these flashcards also include parent guides with fun skill-building activities.